This has to be the one of the most important vendors at your wedding that should most definitely be a professional. Even if you have a good friend that takes some pretty cool pictures from time to time, this is a once-in-a-lifetime event. If the photos don't turn out, they are gone forever. A professional photographer knows how to get clear, high quality images in every type of lighting that will be found at a wedding. They also have the experience to know all of the important shots to take. Cooking for a large-scale event is much different than the small dinner parties that you may have cooked for in the past. Also, if you want the food to be hot and fresh, it will need to be taken care of about the time the ceremony is happening. Professional caterers have the experience and training to make sure the timing is perfect so that food is served when and how it should be. They can miss the ceremony, but you certainly cannot, and you don't want any friends or family to miss it either. If you are doing a classic, tiered wedding cake, you would be surprised how much harder those are to decorate than they look. The most difficult part about trying to do this yourself is the transportation. 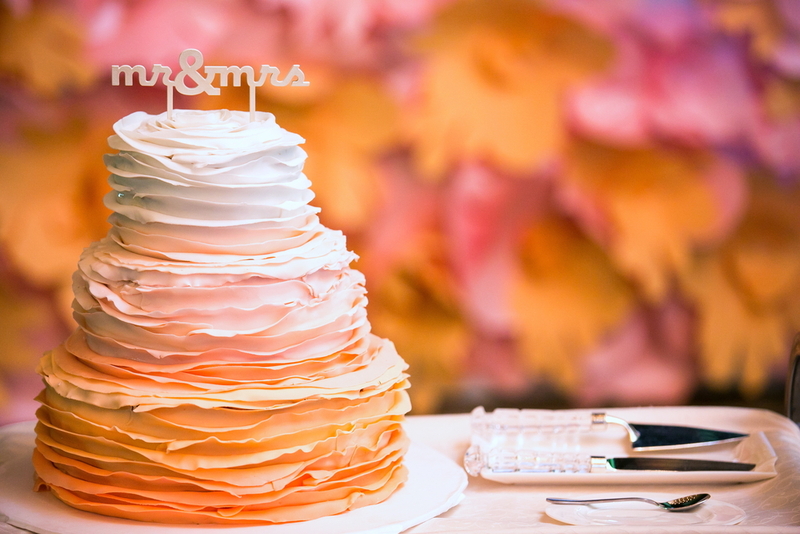 Getting a finished cake from the kitchen to the reception site can be a very tricky task. Let someone with the vehicle and the tools to get the cake to your party safely take care of this. No one plans a bad hair day, they just happen. There is no guarantee that this won't happen on your wedding day, so don't take the risk. Hire a beautician or let a friend that is a magician with hair do this for you. No matter which one you use, always schedule a trial run so they know exactly what you are expecting to look like. Organized brides will have no trouble, and may even enjoy, scheduling and arranging all of the details for every aspect of the wedding before it happens. On the actual wedding weekend, though, it's is time for you to give up the control and enjoy the experience. Be pampered, have fun, and let someone else answer all of those last-minute questions that are bound to come up, and handle any crisis that may arise. A family member or friend may offer to do this for you, but then they don't get the chance to enjoy your special day with you. It's best to stick with a pro here. This is something that needs to be done well before the actual wedding day, so a creative bride should have no trouble tackling this task. Ordering paper goods that are highly personalized or on any type of special paper can get pricey quickly. Making them yourself gives you the added budget to get creative with paper types, styles, and wording. If you aren't terribly crafty, there are lots of invitation and program kits out there to purchase. Buy them blank, type in your details, and print out a professional-looking finished product. It is very important that you proofread closely before you print anything. DIY means there is no professional double-checking your work. Wedding favors are not a necessity, but they are a nice thank you gift for everyone that joins you on your special day. This is another item that can be started and completed well before the wedding, so as long as you give yourself plenty of time to finish the project, this is a great DIY area. 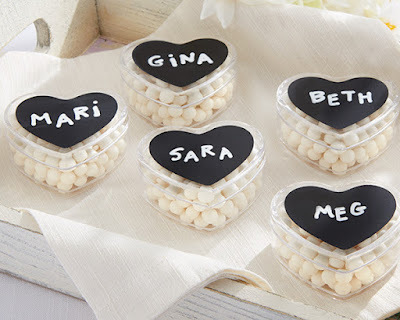 You can personalize favors by giving something that represents you as a couple or give a specific local item that is found in the place that you are getting married. Many couples choose to save money on music by creating a playlist of their own to be played throughout the evening. This can work if all you are needing is background music, as long as you have someone else in charge of cuing it up. 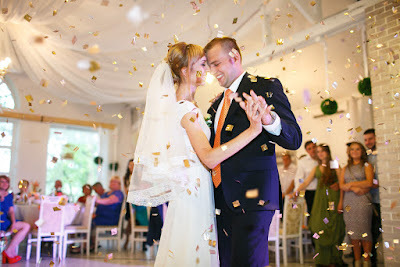 On the other hand, if dancing at the reception is extremely important to you and you want the guests on the floor all night long, then you may want to splurge on a DJ. A pro will have a much larger variety of music to play. Also, they are experts at reading a crowd, so they will know when to pick up the pace or slow things down so everyone keeps dancing. If you are a big flower fan and want lots and lots of gorgeous arrangements all over the place, then you need to hire a professional florist. 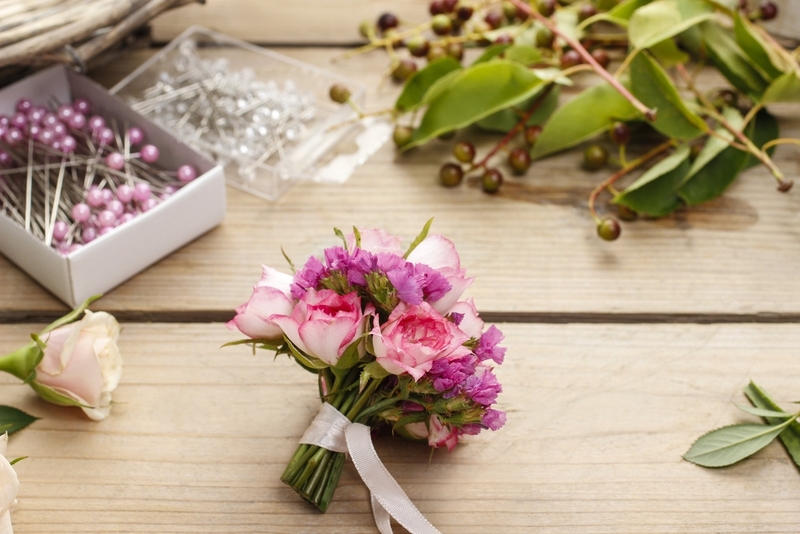 Also, your bouquet will be front and center, and a florist will know how to make one that looks its very best. On the other hand, if you will only be having a few small bud vases with a stem each, or something else simple like that, then you can probably handle picking those up yourself. You will need someone to place them while you get ready though. In that case, bouquet by pro, decor by you. If you want to be a bit more glamorous than your everyday look, hiring a makeup artist can achieve this. Plus, it makes you feel like a movie star getting pampered. For the bride that is more comfortable with her everyday look and perfectly happy with her own makeup skills, then this is something that you should be safe doing for yourself. A word to the wise, give yourself plenty of time and put on makeup before you put on your dress. #1 - Do I have enough time and skill to do this? #2 - Will it save any money to do it myself? Hiring a professional is not only to benefit from their expertise, but also to save yourself from stress. Just because you see it in the DIY section of Pinterest, that does not mean that your first attempt is going to come out looking exactly like the example. Even the simple projects become a hassle if you put them off too long and have to scramble at the last minute to finish. Only take on DIY projects that you know you can handle, and always start early enough to give yourself plenty of time to get them done. If it is going to cost you nearly as much money to make it yourself as it will to hire a pro, then go ahead and hire the pro! Once hired, they are there to take care of it and you can relax. There is no need to put extra things on your plate if it's not going to help your budget unless you are doing them for sentimental reasons. 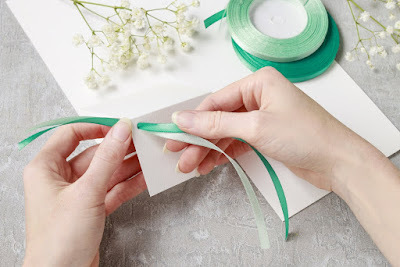 WhereBridesGo.com has a wide variety of DIY wedding projects that make it easy for you to do some of the wedding with your own two hands. We also feature many online wedding accessories and other related items that will make everything look gorgeous and run smoothly. Don't take on too much yourself, but good luck with the DIY projects that you do tackle. We bet they will turn out beautiful.